Received the great news today from our publisher Packt that the product page for our Oracle Service Bus 11g Development Cookbook is now officially online. 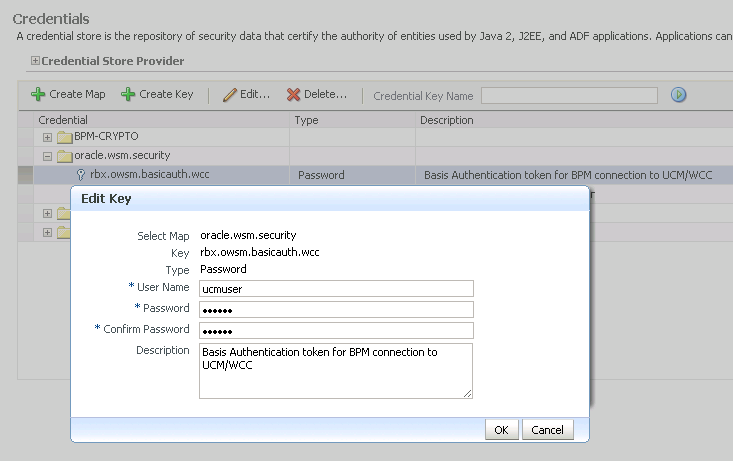 While attempting to deploy a sbconfig.jar in a new Oracle Fusion Middleware domain with SOA/OSB the deployment could not be activated due to the fact that the OSB SBConsole could not connect to the OWSM Policy framework. Restarting the Admin / Managed Servers did not resolve the issue. None of the loggings showed any connectivy problems between Admin and the Managed Servers. 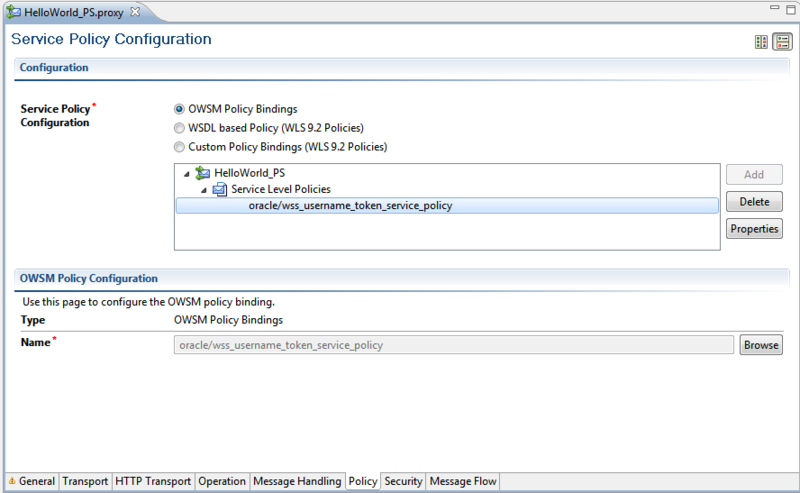 The “OWSM Policy Support in OSB Initializer Aplication”deployment was Active and correctly targeted (OSB cluster & Admin). The wsm-pm deployment was Active and correctly targeted (OSB & SOA cluster). So as a final I compared the config.xml between a working domain and the domain with the problem. I expected a difference in one of the OWSM deployments but discovered that the only difference was that the problem-domain had missing Listen Addresses for both Admin and all of the the Managed Servers. 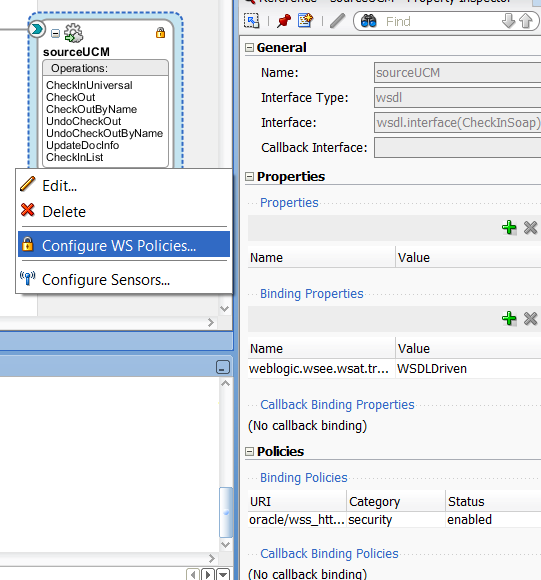 So in Weblogic Console this was fixed by adding the DNS name of the correct hostname to each Listen Address. (this can be done under Environment -> Servers -> servername -> Configuration -> General -> Listen Address). Restarting all machines and finally the sbconfig.jar deployment succeeded through the SBConsole. Apparently the OWSM Framework requires a Listen Address configured for communication between the OSB managed servers and the Admin instance. 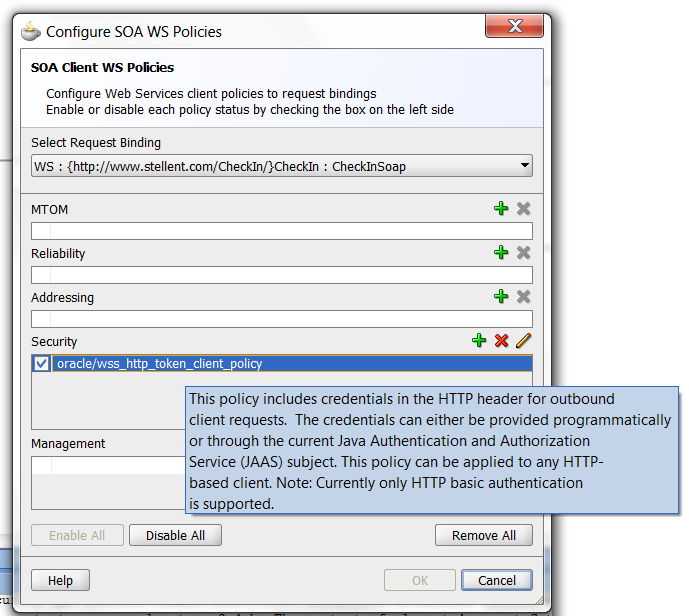 Other Weblogic and OSB deployments (without OWSM policies) did succeed earlier. Weblogic documentation states: Do not leave the listen address undefined on a Windows computer that uses multiple IP address (a multihomed computer). On such a computer, the server will bind to all available IP addresses. In our case our servers where not multihomed, but we do use VMWare instances with Windows.